BATA shoes are currently having its warehouse sale at its warehouse in Jalan Kapar, Klang. 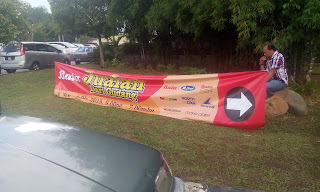 Please use Waze or Google Maps to find your way there if you are not familiar. I did! 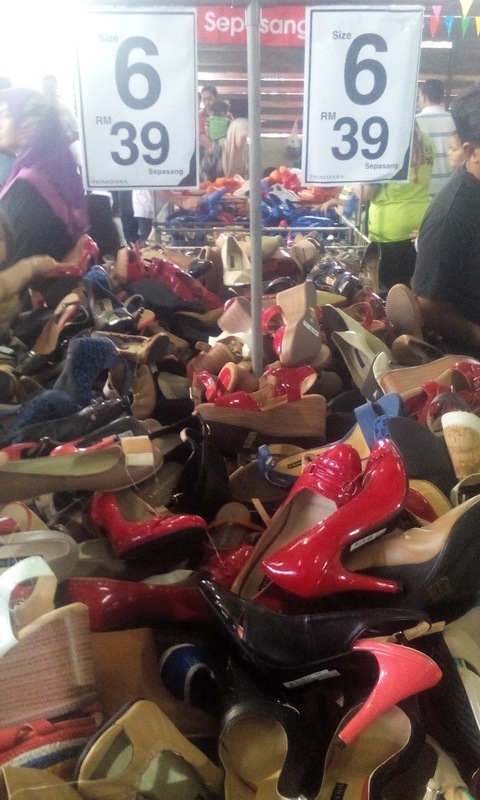 There's a warehouse sale in town! 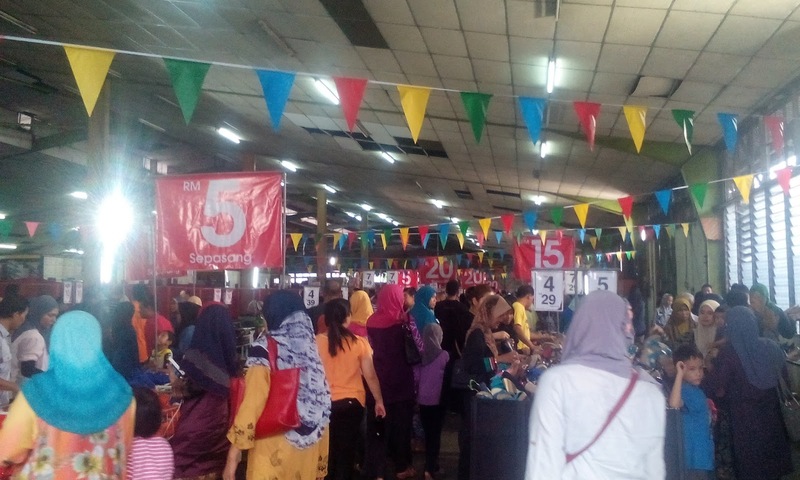 The sale will be on until 6 December 2015 so you still have time to make your way there. 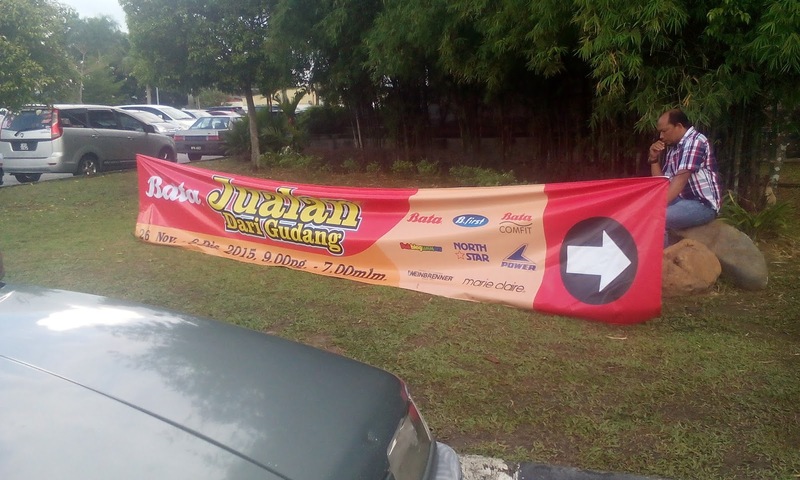 The prices vary but the lowest price you can get is RM5. 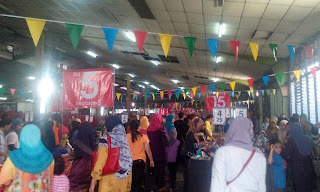 We went on Sunday at about 4pm+ and the place was crowded but still bearable. Please note that it was held inside a warehouse so it can get pretty warm and stuffy. But they do have fans to circulate the air so it wasn't that bad. They grouped the shoes in bins according to the sizes, which makes it pretty easy to find your sizes but by the time we went, the shoes were mixed up. They also paired the shoes together so there's no losing one side but of course, there are shoes that are missing its partner. If you have patience and plenty of time, go ahead and rummage through the bins. 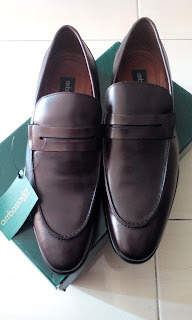 The above picture are Primavera shoes. Some are in very good condition while some has a bit of dirt or slight tear or damages. Depends on your luck, really. These are men's shoes and they are still in boxes. 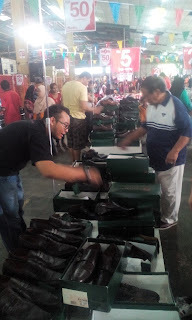 There is also a staff manning the area so the shoes are well taken care of and didn't get all mixed up or go missing. 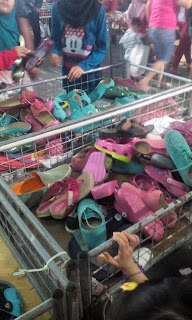 Children's shoes are also put in separate bins but they did not separate according to the sizes. 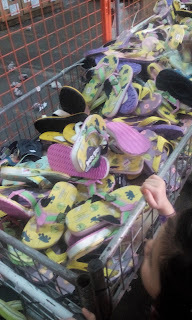 Sad to say, the children's shoes and slippers looked like they've seen better days. Even though they are priced at RM5-RM10, you can get nicer ones with the same price at pasar malam or something. 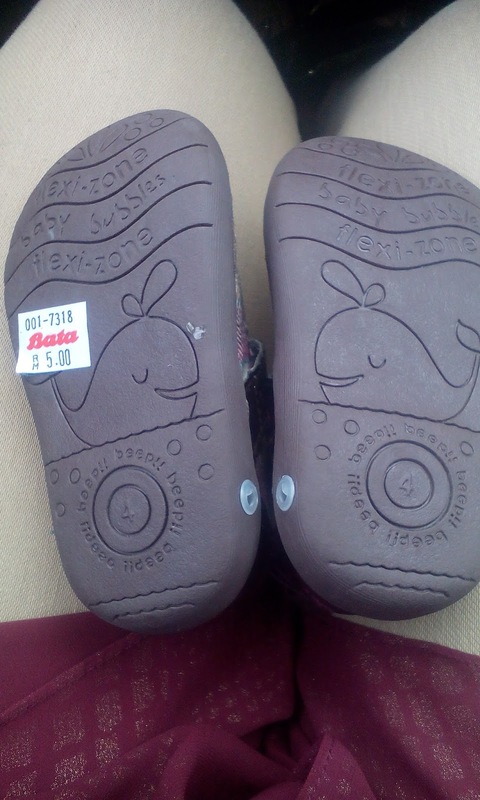 These shoes look old, dirty and dusty. But like I said earlier, depends on your luck, if you rummage through you may just find what you wanted. 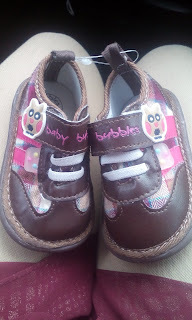 I managed to find this pair of baby bubbles squeaky shoes for Babypie for RM5 only. 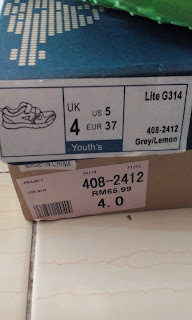 They are still in good condition and they're only RM5 anyway. No shoes for Babycakes though. This is what I got for myself. 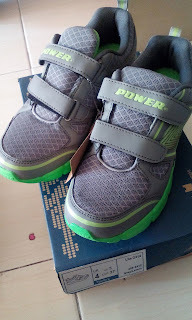 I was lucky that I managed to find this pair in the sports shoes bin. Even though it's in green, which isn't exactly my favourite colour, I guess beggars can't be choosers, yes? I don't do sports so I don't need to buy a branded and expensive shoes which will end up collecting dust on the shoe rack so this will do. 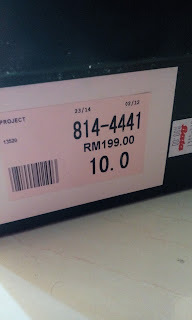 The normal price for my shoes is RM65.99 but it was 50% off. Good bargain, right? Hubby managed to score this pair of shoes. He paid RM50 for it. So worth it, right? If I were him, I'd take two pairs but you know, men. They only need one pair and they're happy. So our trip all the way to Klang wasn't all in vain, though I was hoping to score some Primavera court shoes. Too bad I couldn't find my size. But at least we got 3 pairs of shoes in all so it wasn't that bad. They also sell school shoes and they announced that they will be taking out new stocks for school shoes on Wednesday, which is tomorrow! 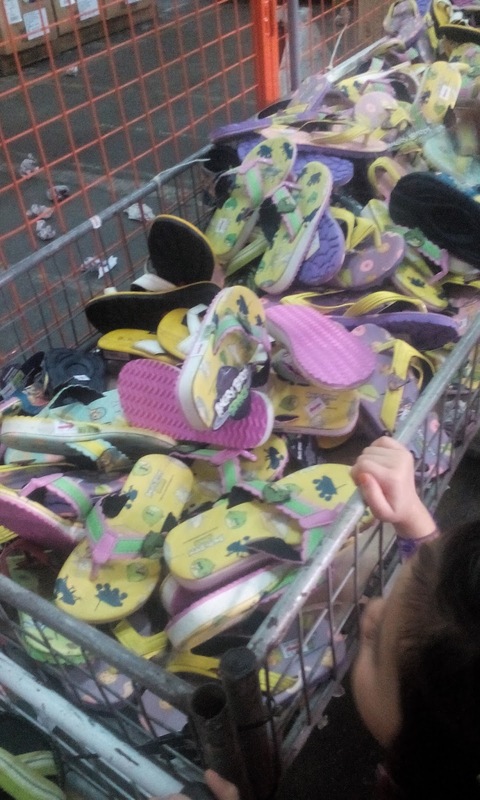 So to parents who are looking for school shoes for the kids at the fraction of the price, do drop by the warehouse sale, which lasts until 6 December 2015. On the way back from Klang, we stopped by The School at Jaya One with the hope to go to Clarks' warehouse sale which was held there. Unfortunately, it has ended. 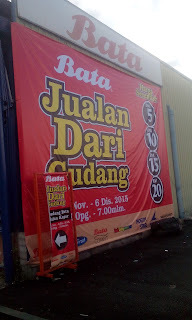 29 November 2015 was the last day and by the time we reached Jaya One, the event hall was closed. So sad! 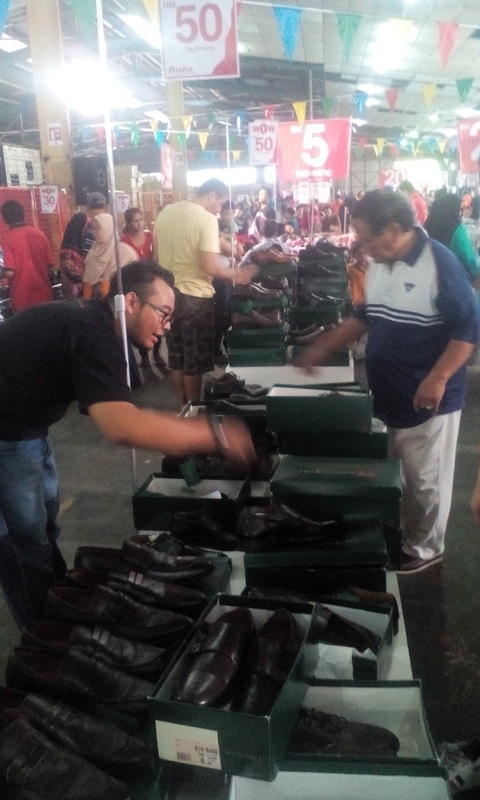 Did anyone managed to go to Clarks' warehouse sale? How was it?